Kieron J. Walsh studied Fine Art and Sculpture at Dun Laoghaire School of Art and Design in Dublin before transferring to Film and Television. He subsequently received a British Council scholarship to study film direction at the Royal College of Art in London where he won numerous international prizes for his graduation film Bossanova Blues including a gold plaque from the Chicago Film Festival and the Premier Prix de la mise-en-scene at the Henri Langois Festival, Poitiers, France. Since then he has directed films for the BBC, Working Title, Channel 4, Granada and RTÉ including the hit series The Young Person’s Guide To Becoming A Rockstar which won the RTS award for Best Series. His first feature was When Brendan Met Trudy written by Roddy Doyle, which premiered at the Toronto International Film Festival and sold worldwide. He also directed a film for the acclaimed Beckett on Film series, which screened in Toronto the same year. For Granada he directed Watermelon based on the novel by Marian Keyes starring Anna Friel and Brenda Fricker. Since then, he has directed Kitchen, a drama starring Eddie Izzard for Channel 5, and RAW, a TV series for RTÉ 2 starring Charlene McKenna for which he was nominated for an IFTA for Best Television Director. In 2005 he set up Bl!nder Ltd, a commercials production company and in 2006 he founded Bl!nder Films to develop and produce Irish drama and documentary for a domestic and international audience. For Bl!nder Films, Kieron directed The Savage Eye, Series 1 & 2, a comedy sketch show for RTÉ starring David McSavage. The show was nominated for an Irish Film and Television Award for Best Entertainment Series and for won a Celtic Media Award in 2012 for Best Entertainment Series. It continues to be one of the most successful comedy shows on Irish domestic TV. With his business partner Katie Holly, Kieron has also produced two features: Sensation directed by Tom Hall and Come on Eileen – both films have been screened globally at film festivals; Sensation had a cinema, DVD and VOD release and Come on Eileen was released on DVD in late 2011. Kieron recently finished Vexed, a television series for BBC and completed his latest feature film Jump, a Hotshot/Bl!nder Films production, starring Nichola Burley and Martin McCann. This saw him return once again to the Toronto International Film Festival where Jump had its International Premiere, and later to Palm Springs International Film Festival where it picked up the Bridging The Borders award. Jump was released in 2013. Katie Holly is Managing Director of Blinder Films, where she has produced documentaries, scripted comedy, web-series, short films and feature films. Many of these have screened at numerous international festivals including Edinburgh, Seattle, Slamdance, Rotterdam, London, Toronto, Palm Springs and SXSW. Previous to Blinder, Katie was Head of Development and Production Executive for Treasure Entertainment, where she worked on films such as Man About Dog, Shrooms and The Mighty Celt. Katie co-produced The Perverts Guide to Ideology, directed by Sophie Fiennes with Jim Wilson (Attack the Block) and Martin Rosenbaum, with finance from the BFI, Film4/More 4, the Irish Film Board, and Rooks Nest Entertainment. The film premiered at the Toronto International Film Festival in 2013 to widespread acclaim and went on to screen in film festivals in the U.S.A., Canada, Asia, Australia and Europe including BFI London and Palm Springs before receiving a release in cinemas and on VOD. In 2013, Katie was executive producer for JUMP, an UK/Irish co-production with finance from IFB, Northern Ireland Screen, Limelight and Molinaire. Directed by Kieron J. Walsh and produced by Brendan Byrne for Hotshot Films. JUMP stars Martin McCann, Nichola Burley and Richard Dormer and won the Cinema Without Borders 2013 Bridging the Borders Award at Palm Springs. It was released in April 2013. Other feature credits include Citadel, a coproduction with Sigma Films that won the Midnighters Audience Award when it premiered at SXSW 2012 and has since won numerous awards at festivals worldwide; Sensation, written and directed by Tom Hall, starring Domhnall Gleeson (True Grit, Never Let Me Go), which premiered at the Toronto International Film Festival and was released by Element Pictures in late 2011; and Come on Eileen from debut writer/director Finola Geraghty starring Jackie Howe, Keith Allen, Julia Davis and Noel Fielding. Her debut feature One Hundred Mornings received a Special Jury Award at the 2010 Slamdance Film Festival, an IFTA for Best Cinematography and won the inaugural Workbook Project Discovery and Distribution Award as well as awards at numerous international film festivals. 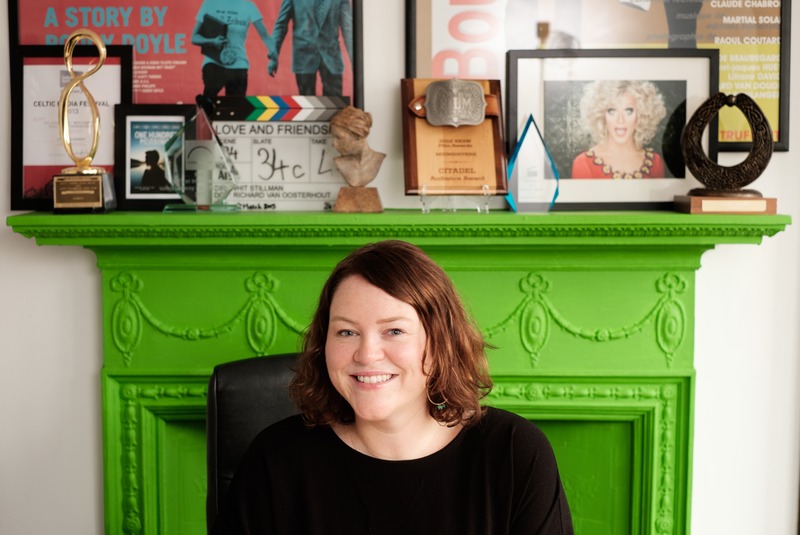 She is also an executive producer of the television shows Irish Pictorial Weekly currently in its third series and The Savage Eye, one of the most successful scripted comedy shows for national broadcaster RTÉ. Katie’s latest production was Whit Stillman’s Love & Friendship, a Jane Austen adaption starring Kate Beckinsale and Chloe Sevigny that is currently in cinemas internationally. Her next project will be a documentary on Grace Jones with Sophie Fiennes, due to be shot in 2016. She is a graduate of the producer training programme EAVE, was Ireland’s representative as Producer on the Move at Cannes 2010, is a member of SPI and is on the board of the Dublin Dance Festival and the Irish Film Board. Yvonne joined Blinder in 2012 as their Head of Development. Since then Yvonne has worked across the development and production of Blinder’s extensive feature film and television slate and has moved into the role of Producer on a number of their projects, including a brand new legal drama series for RTÉ. Yvonne produced RAPT at the start of 2015 – a 4 x 6mins mini drama series for the RTÉ Storyland project in association with the Irish Film Board. 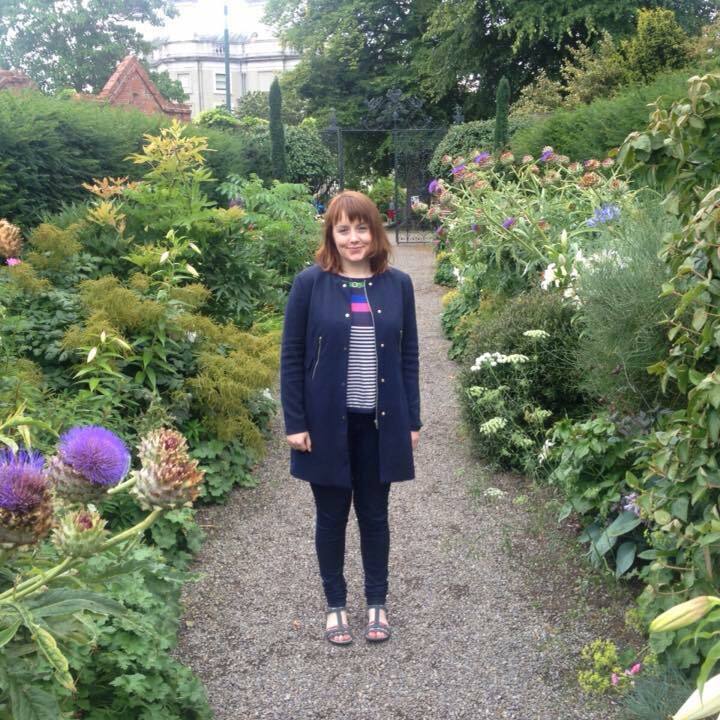 Prior to Blinder, Yvonne worked with RTÉ as a script editor and drama development consultant, for Great Southern Film and Television in New Zealand as their Head of Development and script editor, and for Element Pictures as a Development Executive, as well as working as a freelance script editor on a number of film and TV drama projects.